Like everyone else on the internet, I’m not going to tell you too much about The Beginner’s Guide before you play. It’s one of those games where you should go in blind. 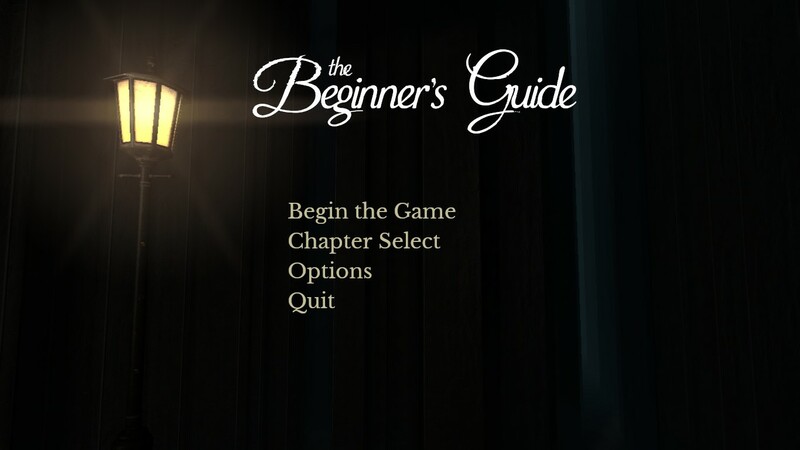 But some basic facts first: The Beginner’s Guide is the second game from one of the creators of the very funny, very intelligent The Stanley Parable. It’s similar in some ways but wholly different in a hell of a lot more. Like The Stanley Parable it involves walking around 3D levels and listening to a man talk. Like The Stanley Parable it’s largely concerned with examining the way games are made, and our relationship with them as players. But where The Stanley Parable is cuttingly funny and satirical, The Beginner’s Guide is just cutting. In a little more depth: The Beginner’s Guide is a look at the psychology of making games (or more accurately I guess – making any art), and how that process both takes input from the lives, minds, and hidden anxieties of creators, as well as having its own powerful effect on those lives, minds, and anxieties. But it’s also about the psychology of how we absorb games (or, again, any art), and the ways we extract meaning(s) from them. It’s available on the PC and will take you about 80 or so minutes to play all the way through. There is one small puzzle. Go out and play it now. Let’s move onto a different kind of game entirely – one perplexingly devoid of such standard videogame fare as ’emotional isolation’ and ‘knife-sharp anxiety’. 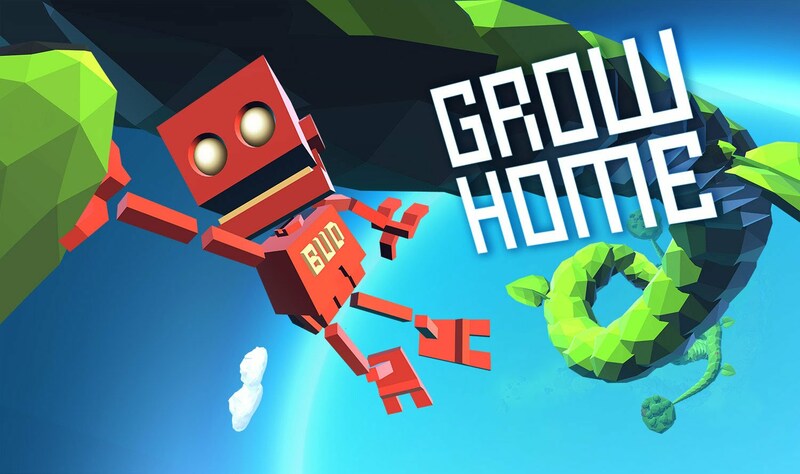 Grow Home is a lovely little game about being a robot that climbs up a giant plant and helps it to grow so high it reaches up into SPACE. There’s a joy to the way your little robot (called B.U.D.) moves around in response to your inputs. It’s strange and slightly janky; like one of those great babies that doesn’t quite know what it’s doing and should by all rights topple over at any moment. But in a way that somehow never negatively impacts your ability to fluidly make your way around the world. And really, there’s a joy to pretty much everything about this game. Climbing up rock walls and giant plant stems feels lovely and sticky, especially when you look down and see the curvature of the earth as the sun sets in the distance what feels like miles and miles below. Causing a giant bud to bloom, and then riding it as it suddenly begins to grow hundreds of feet into the sky. The way your A.I. helper M.O.M. seems genuinely proud of you in the charming way a mother feels proud of their baby for just generally being an all-round great baby. Later on you can find a giant flower that serves as a parachute and a giant leaf you can use as a genuinely-thrilling paraglider. And after that I don’t feel like I need to say anything else to recommend this game. I finally caved and bought a PS4, mostly just for this game. For everyone who doesn’t know, Bloodborne is a kind of spiritual successor to the Souls games (Demon’s Souls, Dark Souls, and Dark Souls 2), with less of an emphasis on slow, careful prodding away at terrifying unknowns and more of an emphasis on fast, violent prodding away at terrifying unknowns. 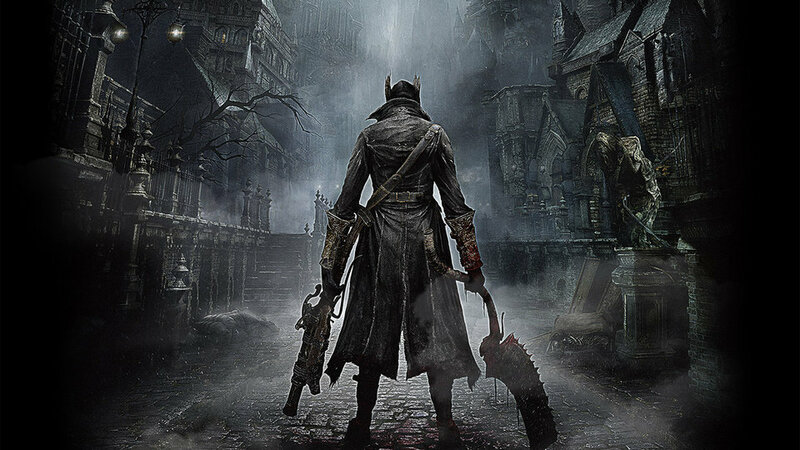 Set in the town of Yharnam, where a disease infects the blood and turns people into beasts (read: kind of werewolves, but not really), and hunters attempt to keep the infection in check, its desperate animalism is a stark departure from the dignified, decaying fantasy worlds of the previous Souls games. I was a real shield-and-spear man in the Souls game. For me it was all about edging forward, making safe, sound judgements, and never, ever overstretching myself. Whenever I tried to play those games in a more aggressive style I found it almost impossible to get used to. But Bloodborne is built from the ground up to make you aggressive. Everything from the blood-rich setting to the inventive combat mechanics, to the game’s overbearing themes (the themes, at least early on are ‘blood’, ‘blood-induced frenzy’, and ‘isn’t everything a bit fucked, I wonder why that is (the answer is ‘blood’)?’). It’s a staggeringly well-polished game. And everything fits together so well to hammer home this animalistic, transgressive atmosphere that constantly claws away at the back of your mind, not feeling quite right. And then you get halfway through the game and it just opens up and completely changes. I won’t say anything else about what happens, or where the game goes, but it’s unexpected and pleasingly jarring. One or two slightly rubbish bosses aside (as well as the optional semi-procedurally-generated dungeons, which are not particularly interesting), it’s been 22 hours of absolute love so far. 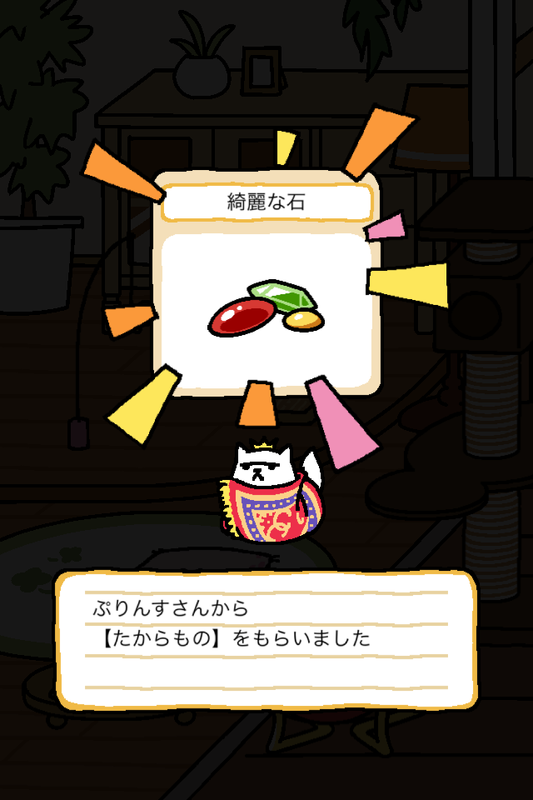 ねこあつめ (translation: Cat Collecting) is a free iPhone game where you collect cats. You start out by putting out some cat food, and a variety of cute little cat toys in your garden, then close the app and wait for cats to come along, checking back in whenever you like. When the cats do come, they leave you dried fish as thanks, and you can use these (as well as the much-rarer golden fish) to buy better cat food and ever-fancier cat toys to continue the cycle anew. Different cats prefer different toys, and you can click on the cats to find out a little about their personalities. Eventually a cat might like your garden enough to leave you a special present. And eventually you might get lucky enough to put out a special cat’s favourite toy (these special cats look strange and unique, and have names that roughly translate to ‘Prince’, ‘Long Boots’, and ‘Mr. Satisfaction’). There’s no real aim to the game. Instead it’s just a lovely, relaxing game about having a garden full of happy cats, and it’s surprising how delightful this can be. It’s all in Japanese, but it’s simple enough and there are websites that can give you a guide to work things out. And if you happen to be learning Japanese it’s a really fun way to pick up some interesting (probably not so useful) words. It’s also free, as I said, and you can spend a little real money to pick up a bunch of special golden fish. I ended up spending a little just because I like the game so much and wanted to throw some money-affection at it, but it never asks you to, and you never feel like you have to in order to have fun. 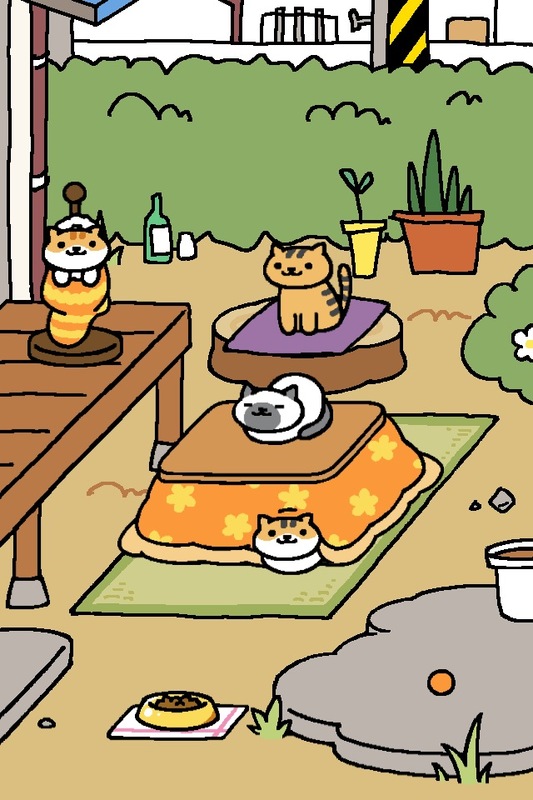 This entry was posted in Games Blather and tagged ねこあつめ, Bloodborne, Games Roundup, Grow Home, The Beginner's Guide. Bookmark the permalink.